At Garavel Subaru we provide new Subaru sales, used Subaru sales, Subaru service and Subaru parts – with great prices and excellent customer service. Due to our customer-focused approach, we’re a proud recipient of the Subaru Love Promise Customer Commitment Award (consecutive Subaru customer service awards from 2008-2019)! Imagine yourself driving a stylish and sporty Subaru in Norwalk by this afternoon! 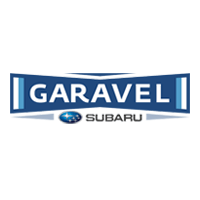 Garavel Subaru has the inventory to get you on the road and into the perfect vehicle. Our Subaru dealership is stocked with all of the latest models including the new Forester, Outback, Legacy, Impreza, Ascent, WRX, and Crosstrek. Get a great deal on a Subaru in Norwalk by calling us now at 203-496-4596, or by visiting Garavel Subaru in person. For a large selection of used vehicles, come to Garavel Subaru at 10 Tindall Ave, Norwalk, CT 06851. We have a huge inventory of like-new vehicles ready for the Stamford roads. Whether you’re looking for a used sports car, work truck, SUV, convertible, sedan, coupe or something else, the salespeople at Garavel Subaru will help you track down a great used car near Stamford. From walking into the dealership and meeting our salesman Sergio, to working through the lease with Jose in finance to picking up our new Ascent, the whole experience was great and seamless. No pressure, just relaxed and informative. Dave and the crew were friendly, professional and thorough. No gadget or gizmo was left unexplained. Easy process from initial contact to delivery. Thanks again!! I had a great experience at Garavel Subaru. Very helpful and informative! I love my new car and highly recommend not only subaru cars but this location. Dave was such a pleasure to work with. He is extremely knowledgeable and was able to help guide me to the perfect car for my needs. I can't say enough how attentive and easy he made the whole process! I love my new Forester Sport and thrilled I took Dave's recommendation on the paint color. Such a great experience and I'm sure this will be the first of many Subarus I will drive! My family and I absolutely love our new Subaru. Cheers! My wife and I were very impressed with the Subaru Outback and we also thought that Joe Wiatrzyk was an excellent salesman. Joe was not pushy, he listened to our questions and he was very knowledgeable. He spent as much time with us as we needed and never made us feel rushed for time or that we were being pushed to make a decision. In addition, after we made the decision to lease the car, Joe introduced us to Tom Nerreau, who handled the paperwork with us. Tom was also knowledgeable and able to answer our questions. He spent as much time with us as we needed and did not rush us..
Joe W is one of the best sales people I have ever worked with. Just bought my second car off him! He is honest, transparent, and respectful. He is not the pushy type and understands that buying a car is a big decision and doesn't want anyone to feel forced into the wrong decision. Great guy and a wonderful soul. Rich in service is always fantastic and one of the best to deal with in the industry! Tom in finance was fantastic to work with and a pleasure to speak with. Highly recommend these three and all others in the group. Rich Morel was very pleasant to speak with and handled the appointment professionally. Was pleasantly surprised to get an email from him the next day, very nice touch. Other than a minor hiccup due to a scheduling issue the first time I showed up to look at the car, the overall experience of parting with thousands of dollars for a late-model used car was stress free and a fairly pleasant one. All the staff involved were courteous and professional.In a country awash in automatics and CVTs, it was refreshing to find a very nice 6spd manual on-hand, and although the test drive was on the short side, without the ability to truly put the vehicle through its paces, it was adequate enough to get the measure of the car... after all I decided to purchase it.Overall, I'd recommend anyone to keep Garavel Subaru on their list of dealers to consider whenever a vehicle that meets their criteria shows up in stock; they also stand behind what the sell with a very good warranty that takes a fair bit of the worry of buying a used car... who knows, you may just come away with a new-ish ride without feeling fleeced in the process.